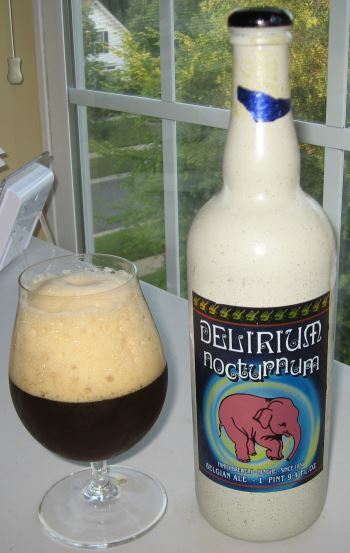 Delirium Nocturnum is another Belgian Strong Pale Ale from the Huyghe Family Brewery, also the makers of Delirium Tremens which I’ve reviewed before. This is a fabulous Belgian brew that doesn’t have the huge rich dark fruit of many other strong dark ales. Not that it isn’t huge and rich, it just has a flavor profile that goes in a different direction. The nose is yeasty, with licorice and aniseed, and it is fruity, but the fruits are more along the lines of pear and apple rather than the plums and prunes and raisins that are typical of the style. The middle continues this theme with tart apple and sweet pear followed by a bit of herbal bitterness, and then a hint of chocolate. The finish is dry, big, boozy, and spicy with a bit peppery heat. 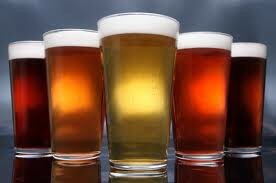 The body is medium to heavy and the alcohol level is significant at 8.5% ABV. This is a really nice, and somewhat different example of my favorite style. 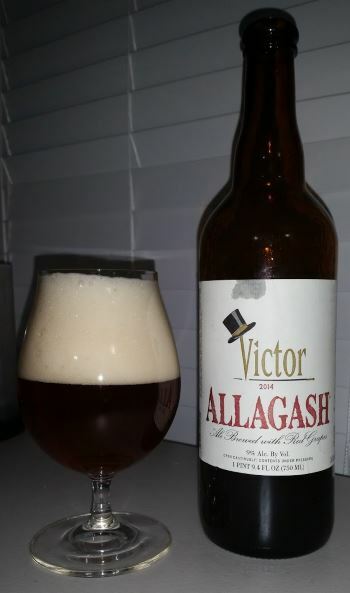 This entry was posted in Reviews and tagged Ale, Belgian, Belgian Ale, Belgian Strong Dark Ale, Belgium, Huyghe, Strong Dark Ale on July 11, 2014 by Xander. 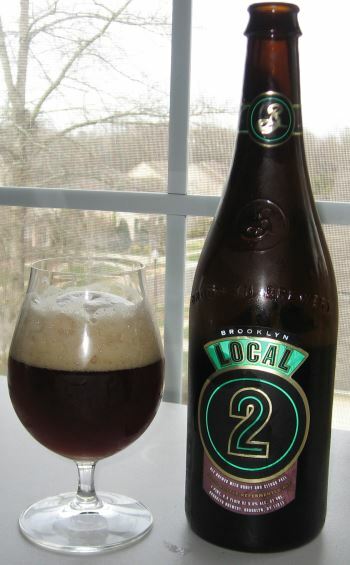 Local 2 is Brooklyn Brewery’s New York twist of a Belgian Strong Dark Ale, one of my favorite styles. They’ve added local raw wildflower honey to the Belgian yeast and dark sugar to give it its signature flavor. The nose has brown sugar and dark fruits such as raisins and figs. The honey is strong in the middle with plums and a bit of grape, with hints of cocoa, caramel, banana, and spices in the finish. The body is medium and the alcohol is high at 9.0% ABV, but well hidden, only adding a slight warming right at the end. This is a well executed beer, and a very nice example of the style. Another hit from Brooklyn. This entry was posted in Reviews and tagged Ale, Belgian, Belgian Strong Dark Ale, Brooklyn Brewery, New York on March 28, 2014 by Xander. 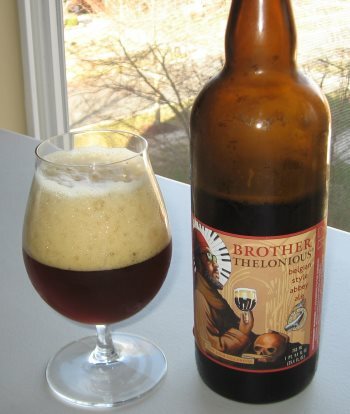 Brother Thelonious is the perfect marriage of Belgian ale and jazz. I love Belgian beer, and I love jazz, so North Coast Brewing’s Brother Thelonious, a Belgian Strong Dark Ale named after jazz great Thelonious Monk has a special place in my heart. This beer pours a rich dark golden brown with a champagne-like head that doesn’t hang around very long. The nose is mild and Belgian in character, with some apricot, plum, and yeast notes. The middle ticks all the right boxes but with flavors that are brighter and less subtle than you’d often see in a traditional Belgian offering. It’s fruity and malty with plum, cherry, and vanilla. These are the things you’d expect from a prototypical Belgian Strong Dark Ale, though there’s a bit of artificiality to it, as if the cherry were of the maraschino variety rather than picked fresh off a tree, for instance. The alcohol (9.4% ABV) comes through strongly in the finish giving it some heat, and there’s a bit of prune in there at the end as well. All of the characteristics are right, but the execution here is just a bit off. This is a fun beer and I enjoy it for the marketing tie-in with jazz and the style they’ve chosen, but it’s not what I’d want to use to introduce someone to the Belgian Strong Dark Ale style. North Coast Brewing is an outstanding brewery, and they have some amazing beers, but this isn’t one of their best. This entry was posted in Reviews and tagged Belgian, Belgian Ale, Belgian Strong Dark Ale, California, North Coast, Strong Ale, Strong Dark Ale on February 21, 2014 by Xander. It’s a dark and rainy evening here, and I think a beautiful Belgian strong dark ale perfectly fits the bill. 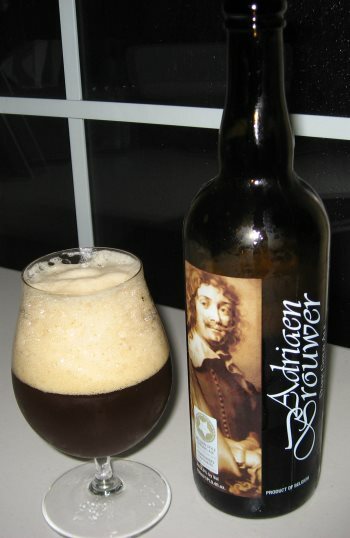 A gold medal winning brew, from Brouwerij Roman in Belgium, Adriaen Brouwer Dark Gold Ale is fine example of the style. In the glass it’s a dark honey brown, with a big, thick, lingering head. The nose is fruity and funky and clearly Belgian, but not as heavy or bold as many. The middle is straightforward, predominantly dried fruit like raisins and prunes, and fairly sweet. The body is medium, which is on the light side for a strong dark ale, but it’s nice none the less. The finish fades from the sweet fruit to a dry earthiness. It’s not hugely complex, and nothing jumps out, but this is a really solid beer that is well executed in every aspect. I like it very much, and I’m going to enjoy relaxing with the rest of my glass now that I’m done writing. This entry was posted in Reviews and tagged Belgian Ale, Belgian Strong Dark Ale, Belgium, Brouwerij Roman on January 10, 2014 by Xander.